It's National Pet Day, and I'm so excited to share some fun "pet" books. These books are hilarious, funny, and make awesome read alouds. Some have won awards. Some are great for beginning readers, and some are entertaining and better than I thought they'd be. Definitely give them a check-out. This novel with illustrations is hilarious, but I know about an alien cat warlord that becomes a pet sounds awfully weird. However, it's hilarious and fun and definitely worth a check-out. I found myself laughing and enjoying it far more than I thought I would. It'd make a great classroom read aloud, or nightly read. The reading level is a little higher, but I think the interest is lower. Therefore, a class read aloud in 2nd or 3rd would be awesome. Flubby is a pet cat. He is your typical, lay around the house cat. Tho, the endings of Flubby books have a surprise. The text is simple and short and perfect for the beginning reader, the pictures are fantastic, and the book series is all around fun! Best for Preschool through 1st grade. This picture book won a Caldecott Honor b/c the pictures are fantastic. However, the text and story is super fun as well. These pets are not your normal pets, and the ending will make you smile. Best for Preschool through 4th grade. I love Arnie; this book has been a favorite of mine for years. Arnie is a doughnut, but he is also a pet. This picture book is a must read, but it is a longer read. Best for 3rd through 6th grade. Charlotte, like many children, just wants a pet to take care of. However, her parents give her an unusual pet that becomes even more unusual. Charlotte is fun, and finds the good in all things. This would be a great picture book for a teacher to read aloud and complete a Venn Diagram to compare Charlotte's pet to the student's pet. Best for 1st through 3rd grade. This interactive picture book is less about her pet dog and more about what happens to her dog, but it is funny. Definitely a fun read for a classroom or with your child. If one moose is a good pet then many moose would be even better, right?! This picture book will answer that question in a fun way. Best for Kindergarten through 4th grade. Molly is definitely silly, and it's quite obvious when she is trying to find the perfect pet. Best for Kindergarten through 3rd grade. What happens when a kid wants to earn a little extra money by pet-sitting? It becomes quite the adventure for Bob when he pet-sits for fairy tale characters. Hopefully today you give your pet some extra love and then enjoy snuggling in with some of these fun books. Some of the books were given to me for my honest review. All books, thoughts, and opinions are my own. Who doesn't love cookie dough??? Seriously, cookie dough is yum! Now, a low carb Healthy Edible (aka egg free) Chocolate Chip Cookie Dough may be the best thing since cookie dough ice cream. Holiday seasons are always so tough in regards to the amount of sweets lying around. With the new year it's always nice to start it off on the right foot with your nutrition. However, I am definitely not a fan of depriving myself; it just makes me binge and want more of what ever I am being deprived of. I can't say that I won't eat any sugar, but I can say I am going to make healthier treat options. I am a big fan of healthier options. 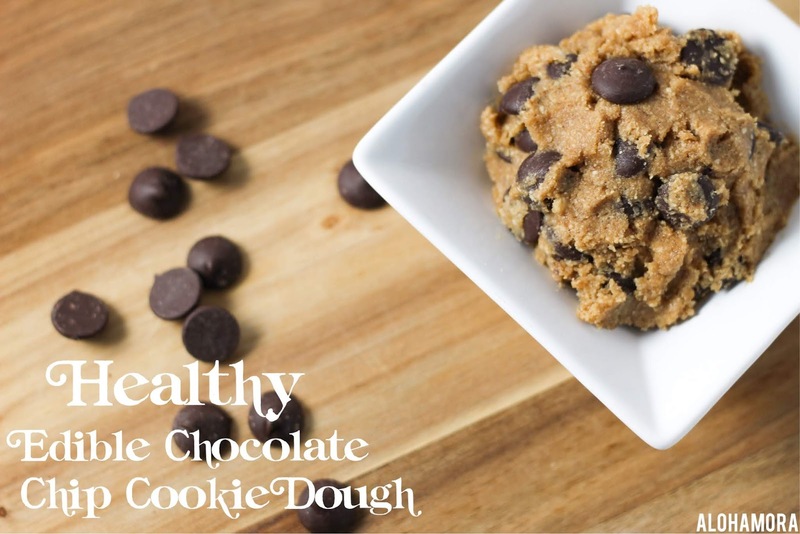 This Edible Cookie Dough for 1 is a quick and easy treat you can make. I used a combination of brown coconut sugar and the KetoseSweet Steviva granulated sugars as healthier options. Both are low carb and low calorie (KetoseSweet has 1 calorie) sugars. I personally found using a combination of sugars (especially in regards to sugar substitutes) helps with flavor as well as avoiding a sometimes bitter taste that occurs with sugar substitutes. This Healthy Edible Cookie Dough recipe is super quick and easy to make (10 minutes tops) and will definitely help satisfy any sweet cravings. I was lucky enough to be given some KetoseSweet Steviva Granulated Sugar to participate in a little recipe challenge. Baking and creating with something new is right up my alley. Baking and creating with something that is new and healthy is definitely mind kind of fun. I loved experimenting and having fun with a product I knew wasn't going to completely derail my fitness and healthy living goals. KetoseSweet by Steviva is a keto friendly sweetener. For more up to date Steviva products you can follow them on Facebook, Twitter, Instagram, and Pinterest. Happy Healthy Delicious Treat Making and Eating! Ground oats in a blender or food processor to make oat flour. Add the oat flour, butter, sugars, vanilla, salt, and cinnamon to a stand mixer or a bowl. Combine the bowl ingredients and add the milk as your stand mixer is mixing or as you are stirring. You may need to scrape the bowl or the mixing paddle to ensure everything is well combined. Finally, add the chocolate chips and mix until just combined. Spoon cookie dough into a small bowl or serving dish and enjoy. Cookie dough can be covered or placed in an airtight container in the refrigerator for up to 1 week. 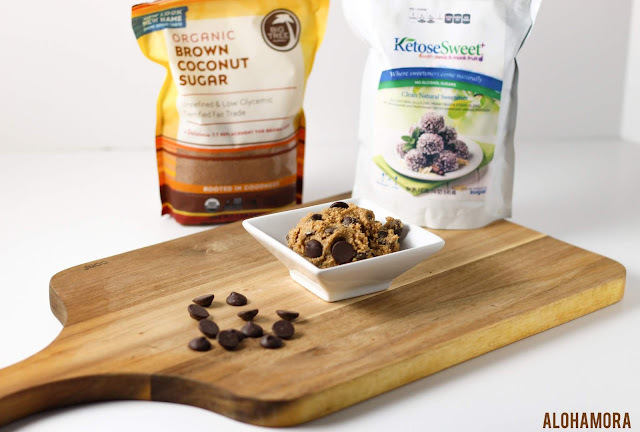 If you don't have KetoseSweet Steviva, though you should definitely think of it as an option, you can use another healthy sugar substitute or plan sugar at the same ratio. 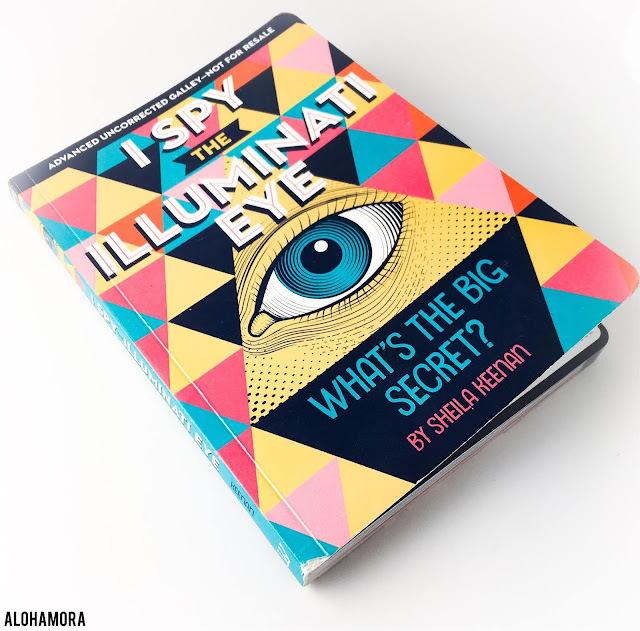 I Spy the Illuminate Eye: What's the Big Secret? by Sheila Keenan is a fun read. It's an easy read, and it would make a great book (or gift, b/c books make great gifts *hint*hint*) for a middle school or high school student that doesn't like to read. The pop culture references and the secret societies are sure to engage every reader. After beginning this book with very little secret society knowledge (besides the movie Skulls that I watched way back when Blockbuster was a thing) I found myself engaged and wanting to keep turning the pages. It's a fun book. Definitely check it out. The eye on top of the pyramid found on US money? Someone make a symbol of a triangle? A triangle drawn inside a triangle? The book even shows that the White House Lawns (shaped like an owl), and the top of the Washington Monument (looking down it's a circle with a dot in the middle) are both Illuminati symbols. Honestly, this book is quite a fun read, but I'm not sure I can say I'm an Illuminati Believer. However, since reading I Spy the Illuminati Eye I've caught myself noticing little things here and there and it makes me chuckle and wonder for a second. What about you? Do you find yourself saying "Illuminati Confirmed?" Worth a Check Out: Yes. If conspiracy theories are fun for you, and you want a quick non-fiction read, then definitely give this book a check-out. Buy It or Not: Maybe. This book is a quick easy read and a good choice for middle school and high school reluctant readers. Read Aloud: No. Non-fiction usually do not make the best read alouds, but they are fun to browse and read here and there. Lesson Ideas: Illuminati, Secret Societies, Conspiracy Theories. Not that you could tell me if you are in the Illuminati or another secret society, but are you a conspiracy theory/secret society fan??? There are instructions for making invisible ink. (pg 47) So cool! Thank you Penguin Young Readers for the book to review. All thoughts and comments are my own. Do you love 🎔 reading holiday books? We are a Christmas family, so we like to pull out all our books (from our shelves and from the library) and read them starting the day after Thanksgiving. The hardest, but most fun part for me is narrowing the books (I usually start with approximately 50 books) down to 25 that we then read each during the month of December leading up to Christmas. I know some awesome people that wrap each of the books, and then unwrap one book each night. I'm not nearly that cute. First, my wrapping skills are sub-par. Second, life is busy. Third, I like having the books out for the kids to read and re-read all month long. Such a sweet and fun story about tradition, some say the most important tradition, of picking out the family Christmas tree. Such a tender story about the smallest little tree in the lot that has high hopes he'll be someone's Christmas tree. I absolutely adore this historical picture book that shares the origin of the Christmas tree. Please read this fabulous book! Definitely a fun Christmas book in the classic If you... Numeroff formats. Plus, I felt it was fitting b/c going to the movies at Christmas is definitely a thing. At first you think this is just another Gingerbread Man story, but this original story is just fun. Plus, there are a couple recipes in the back which are fun to make. Cookies at this time of year is a big deal, and a Santa Dinosaur cookie that just wants to be appreciated makes for a fun story. It's a fun book especially if you've read, Cookiesaurus Rex. If you are going to read a Christmas Gingerbread stories this one is my favorite. It has great rhythm, fun, and a bit silly. Everyone, and I mean every man and creature wins with this cute story. It's another sweet Little Elliot book that reminds us friendship is a gift we can give and receive. A Christmas version of I Got the Rhythm. It's such a fun sweet story of family. It's hard not to love this Bad Kitty, but it's impossible when you see how sweet this adorable feline is. Farmer Brown and his animals have quite an adventure at Christmas time waiting for Santa. I love the rhythm and the onomatopoeia's in this fun read aloud. Tacky is one of my favorite penguins! He's definitely a little quirky, but "he's a nice penguin to have around." b/c he always seems to save the day. Grumpy Mother Bruce, we all love him for his grumpy outer shell and soft lovable inside. This Santa Bruce version is just as fun of a read. Even though this book is 13 years old, it is still a favorite Holiday read. The rhythm and rhyming makes for a great read aloud, and the adorable snowmen are hard not to love. It's not as good as Goodnight, Goodnight Construction Site, but my construction loving kid can't get enough of this book. The story follows the beautiful Christmas song, and the pictures in this book are absolutely stunning. This sweet story combines the song with the story of the nativity. With beautiful pictures and the story of the nativity told with the classic rhythm of Twas the Night Before Christmas. This book is definitely a book to read a little closer to the big day. It's a long story, but worth the time to read this beautiful and sweet story. Of course this classic book makes the list; I love the story and the illustrations. For Lego loving families, this classic story that is illustrated with Legos is a winner. It's a fun and unique take with the pictures. If your family loves Legos give this version of the classic a read. Happy reading! 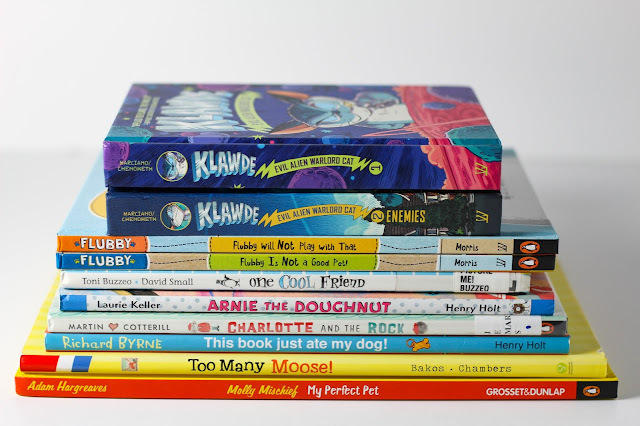 Reading Holiday books to your kids is one way to get your kid to love reading. Holiday books are fun, and when reading is fun your child will want to do it again and again even when it is tough. 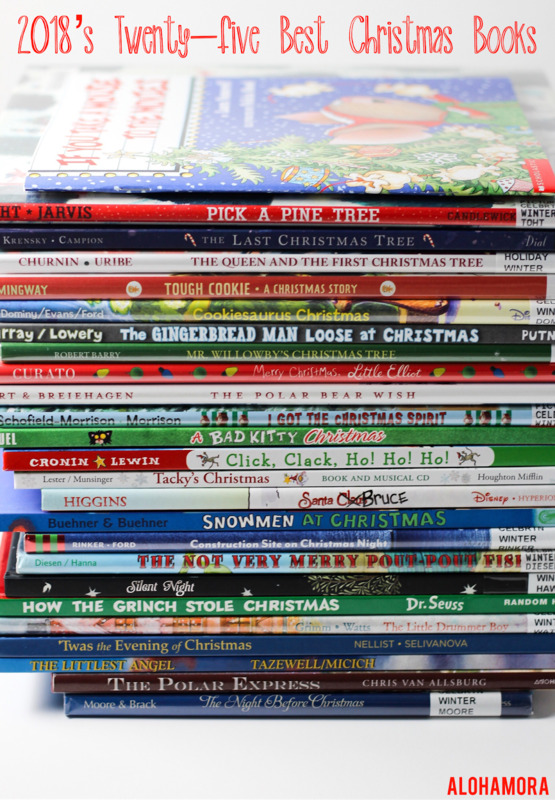 Any of your favorite Christmas books that did not make this list??? I have a few main goals on my blog. First, I aim to be honest. Second, I aim for quality. Third, I aim to have fun and try and make it fun and doable whether it's baking or reading. Today, I am being completely honest with you. I've never wrote this on the blog, but a handful of friends who know me know, that I wasn't the biggest fan of Fablehaven. Maybe you're shocked. Maybe your disappointed. Maybe you never thought about it. However, if you check the reviews on Amazon or Goodreads you will see I am in the minority. 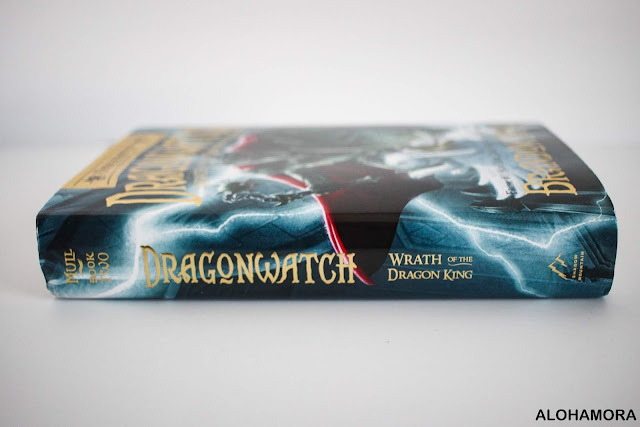 Either way, if you look at the top of this book, Dragonwatch 2: Wrath of the Dragon King, you will see it is a Fablehaven Adventure book, and many of the characters in Fablehaven make an appearance. 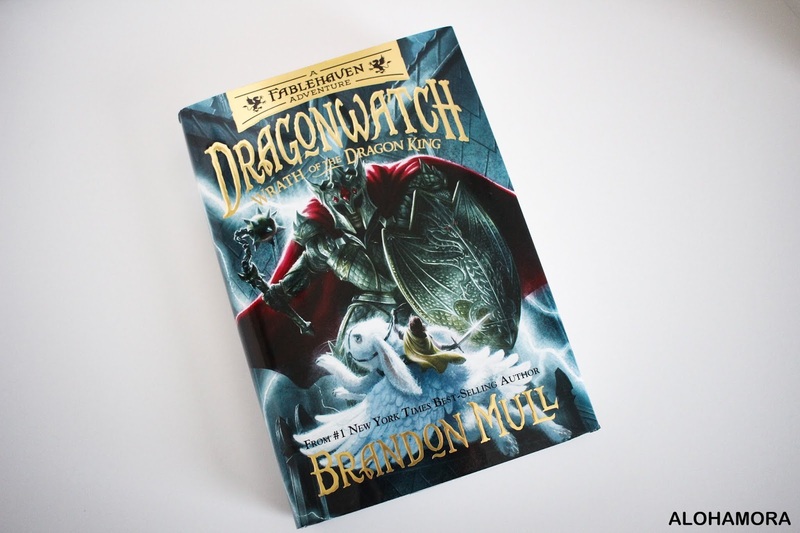 I, honestly, enjoyed Dragonwatch 2: Wrath of the Dragon King by Brandon Mull. This book honestly earned 4 out of 5 stars. I enjoyed it. I really did. I thought the storyline was unexpected. I thought Kendra and Seth's character development was good. I enjoyed aspects like the Barrel that transports you to the other location/barrel b/c it reminded me of the Vanishing Cabinet in Harry Potter. The pace of the story is a little slow in the beginning. It takes awhile to get moving; however, once you hit Stormguard Castle the pace definitely quickens. I also felt the secondary characters were not developed fully even though they were introduced. Sure, we may get more development of their cousins, Knox and Tess, as the series progresses (b/c this series is definitely set up to continue), but I felt their development was more than lacking. In my opinion if you are going to introduce them and have them involved enough to have their own chapter(s) you need to develop them a bit more. Basically, Wrath of the Dragon King is a great book, but it is necessary to read the first Dragonwatch book. Boys, and girls that enjoy fantasy, in 5th grade or up will enjoy this series. Happy Fablehaven Juvenile/Middle Grade Fiction Fantasy Reading! Feel free to email me or DM me on Instagram/Facebook if you have any other questions. Worth a Check Out: Yes. If you love fantasy books, Chronicles of Narnia, Lord of the Rings, or Fablehaven, and you have read the first Dragonwatch. Buy It or Not: Yes. Especially, if you bought the Fablehaven books. Read Aloud: Yes, this could be a read aloud with a parent, but it's rare for a teacher to read aloud a series. Lesson Ideas: Courage. Siblings. Dragons. Fantasy. Fablehaven. Cousins. Discover or Be Told. Good vs. Bad. Are you a Fablehaven or Dragonwatch fan? I'd love to know what you think of the series. Thank you for Smith Publicity for the book to review. All thoughts and comments are my own. A co-worker and fellow-librarian was on a mission to get this book checked out more so it doesn't get weeded. It just doesn't seem to get the love it deserves. She loved the book, and I'm all about reading great books. I will say I'm so glad I checked this book out. 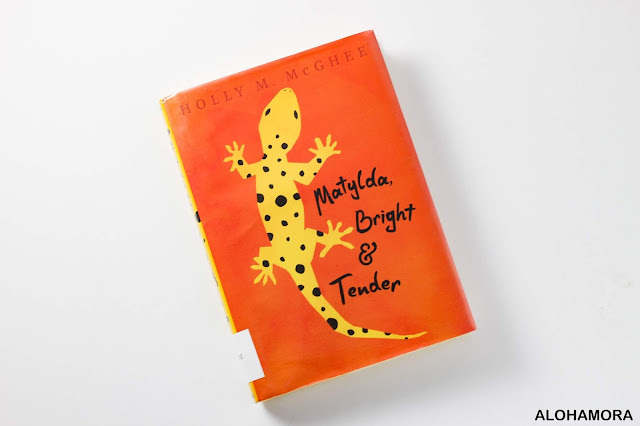 Matylda, Bright and Tender by Holly M. McGhee is a beautiful, well written character driven story about loss/death, healing, and love. Sussy (short for Susquehanna) Reed and her best friend Guy Hose have a beautiful friendship, and do many things a child can relate to. When they are in 4th grade they are able to convince Sussy's parents that they need a pet to "love all their own." That's when Matylda makes her appearance, and she has a valuable roll in this coming of age story. Holly McGhee's debut novel is fantastic. The writing and feel of the story reminded me of Sharon Creech's books, or Jerry Spinelli's Stargirl. Matylda, Bright and Tender gets 5 out of 5 stars. This book is a gentle moving story, but at 200 pages it's a quick read as well. I loved the writing. McGhee wrote the tough parts, like death, quite well. She wrote the emotions Sussy was feeling well. The only part I didn't love is the stealing part, and I wish there was more explanation in that connection and Sussy's healing and growth. This would be a fabulous book for anyone that wants to heal from loss and relate to someone. This would be a great classroom read aloud, or nightly read with your kids. All in all, Matylda, Bright and Tender is a fabulous book that deserves more attention. Happy Middle Grade Fiction Heartwarming Coming of Age Reading! Worth a Check Out: Yes. Similar feel to Sharon Creech novels. Buy It or Not: Yes. Especially, if you know a child or teen that lost a loved one. This would be a great book for bibliotherapy reasons regarding death and healing. Read Aloud: Yes this would make a great classroom read aloud for 3rd-5th grade class room, or with a parent at night. Lesson Ideas: Death. Pets. Pet Care. Love. Guilt. Forgiveness. Stealing. Friendship. Family Relationships. Character Driven Story. Have you read Matylda, Bright and Tender? What did you think of it? It's a week where we celebrate the freedom to read. It's a week to be aware that books are challenged and asked to removed from the shelf. 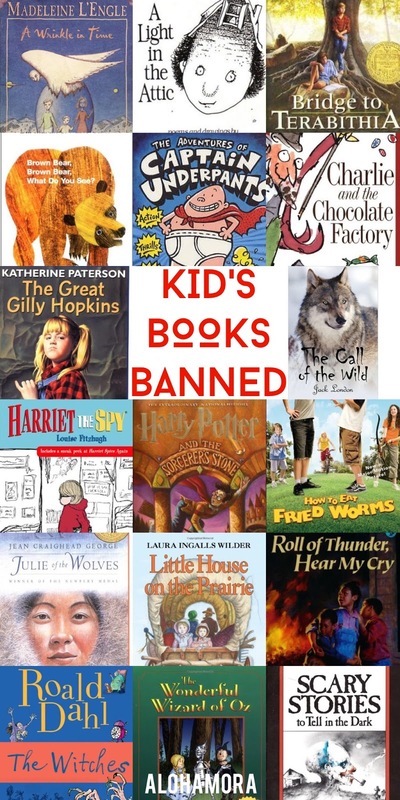 All of the books on these lists have been challenged or banned from school or public libraries. Their reasons vary, but are usually as a result of the author's personal actions or beliefs or the content in the book. Librarians across the world strive to keep books on the shelves. Librarians strive to avoid censoring books; we believe parents and the individual can make the choice for himself, herself, or for one's own children. 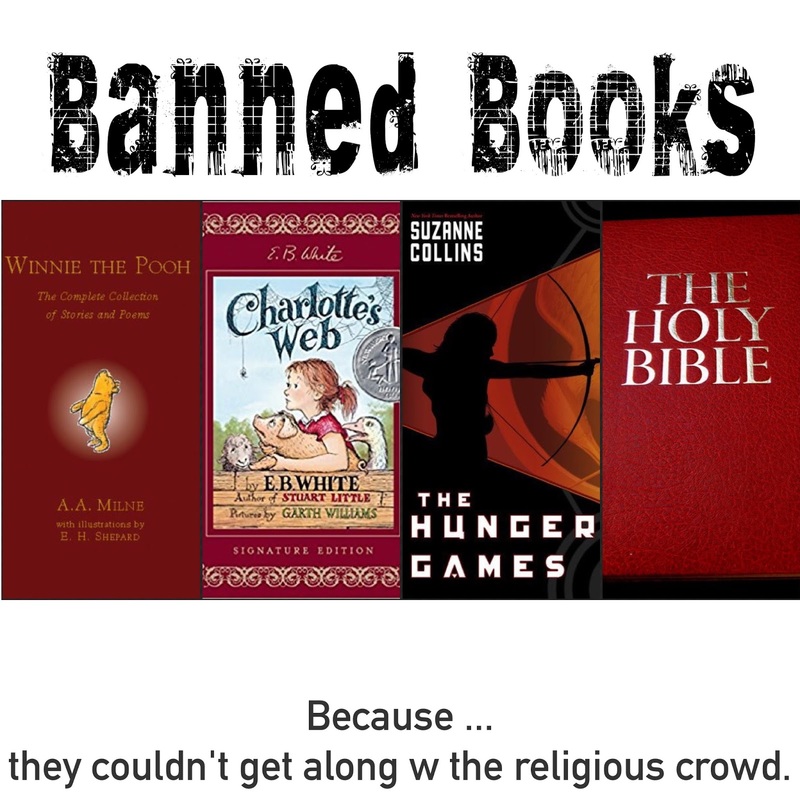 Banning books inhibits free speech. Books have power to teach, inspire, unite, and honestly change the world. Books have power. Let's not limit that power by censoring books for everyone. I'm a banned book reader. Are you? 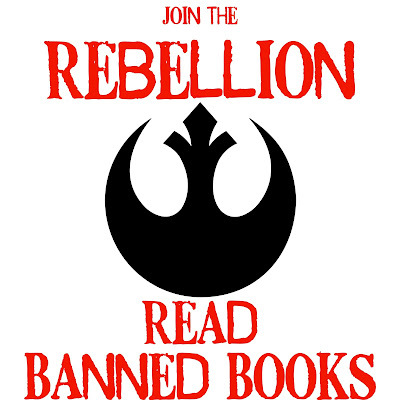 Join the Rebellion, and support the freedom of speech; the freedom to read. Hopefully, some of these book lists will entice you to pick up a book. 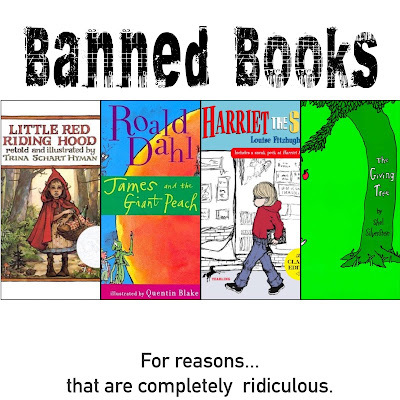 You must check out the most Ridiculous Reasons Books are Banned in this list. 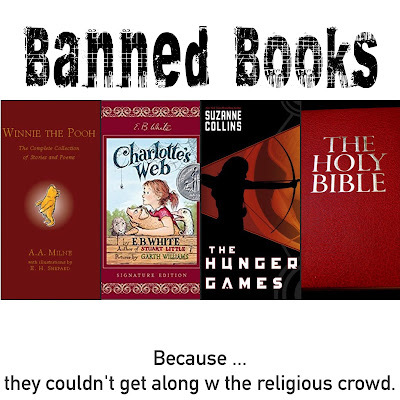 These books were all Banned For Being Too Religious or offending a certain religious group. 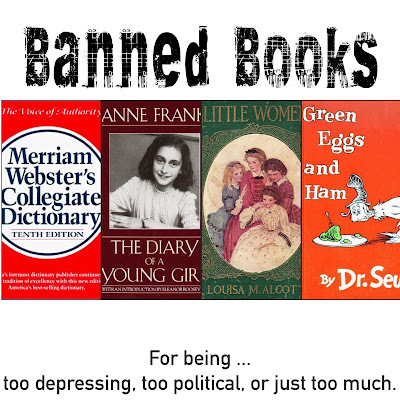 Books that are powerful, impactful, or have Too Much aka Too Good are Banned. Books for the young and old are banned for all types of reasons. The Kid's Banned Books List always surprises everyone. I'm assuming b/c the list is full of books they read and loved. The YA and Adult Banned Book list is full of classics. A lot of the classics are banned... interesting huh? Let's see how much of a rebel you are. 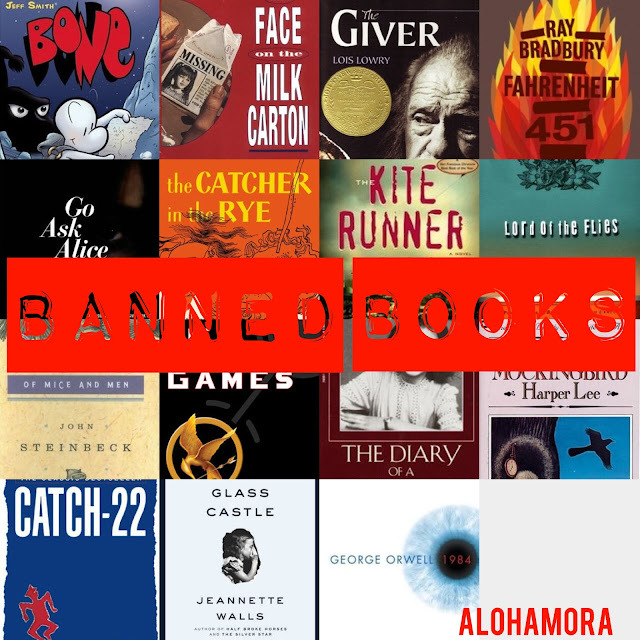 How many banned books have you read? Join the Rebellion. Read a Banned Book!